Helmet manufacturers have been utilizing professional racers to market the companies’ respective flagship models for as long as racers have worn helmets. For race fans, wearing the same helmet as your favorite rider can be cool, but rocking an exact replica design takes things to the next level. 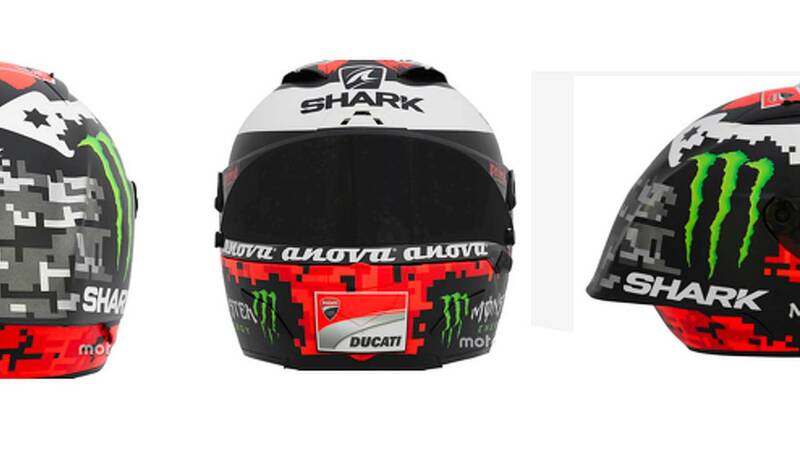 Helmet companies are aware of the draw replicas possess, so each season when riders debut their latest helmet designs, it doesn’t take very long for helmet purveyors to release identical replica versions of the latest designs being worn by the professional racers and three of the world’s top riders, Jorge Lorenzo, Valentino Rossi, and Marc Marquez, have just released their 2018 replica helmets. AGV’s Pista GP R is the company’s flagship race helmet. 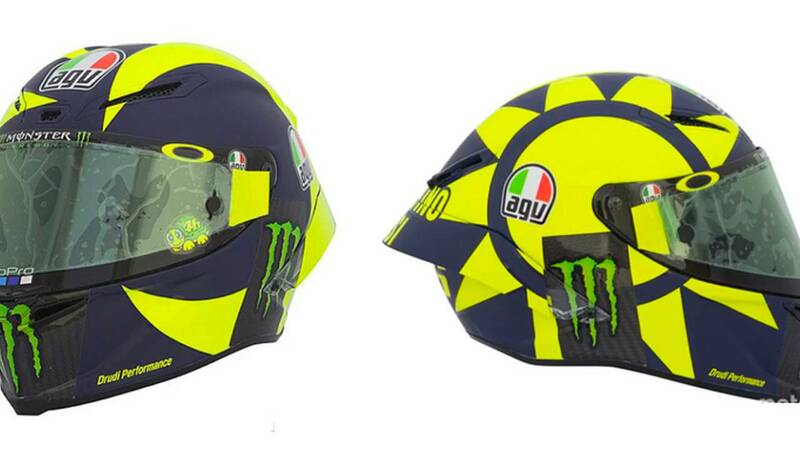 For the new Rossi replica, his long time helmet designer—Aldo Drudi of Drudi Performance—updated an old favorite, putting a modern twist on the nine-time-world-champion’s Soleluna (Sun and Moon) graphic that he’s utilized since the dawn of his career. The AGV Soleluna Pista GP R Rossi Replica helmet will ship out in late Summer/early Fall and will carry and MSRP of $1,600. Last year we shared a video about the development of the Shark Race-R Pro helmet, a model that Lorenzo actually aided in the development of. For the number 99 rider’s latest replica, Lorenzo is sporting an updated version of the design from his inaugural season with Ducati. The new Race-R Pro replica—which is the same model utilized by Johann Zarco and Tom Sykes—is adorned in a grey digital camo back, several Monster Energy logos, and of course Shark and Ducati symbols. Lorenzo’s replica Race-R Pro helmet will reportedly carry an MSRP of $709.99. Shoei’s X-Fourteen—also known as the X-Spirit III—has been the current world champion’s go-to helmet since the model’s debut. 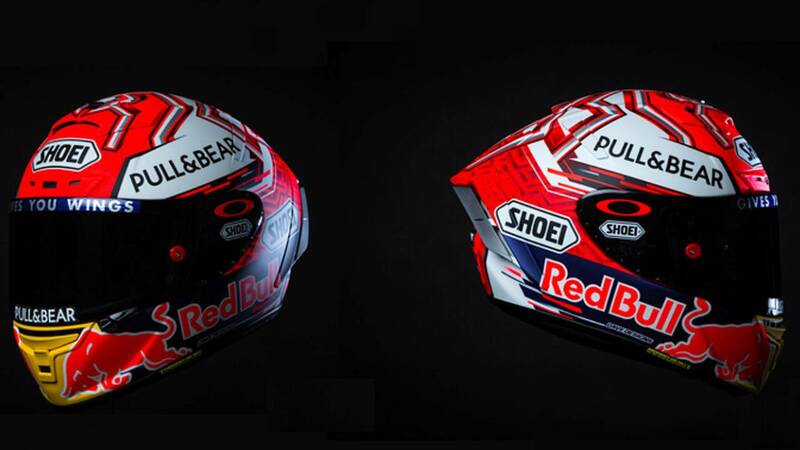 Like Rossi’s current helmet, Marquez’ lid’s graphic was designed by Drudi Performance. 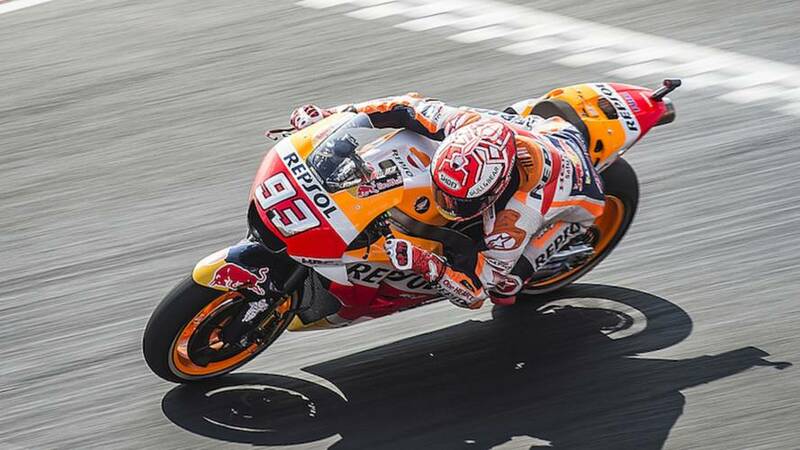 The Repsol Honda rider’s latest lid is nearly identical to his 2015 replica helmet, aside from the fact the 2015 model’s Lotus sponsor logo has been changed to a Pull N Bear image, but otherwise they appear to be nearly identical. Pricing doesn’t appear to be available as of now for Marquez’ latest replica, but last year’s had an MSRP of $889.99, so one can assume it will be in that ballpark.